From a marker made scribble to a decent throw-up, the road is short. Working towards a more elaborate wild style, and especially searching for a unique expression in the process, is somewhat trickier. 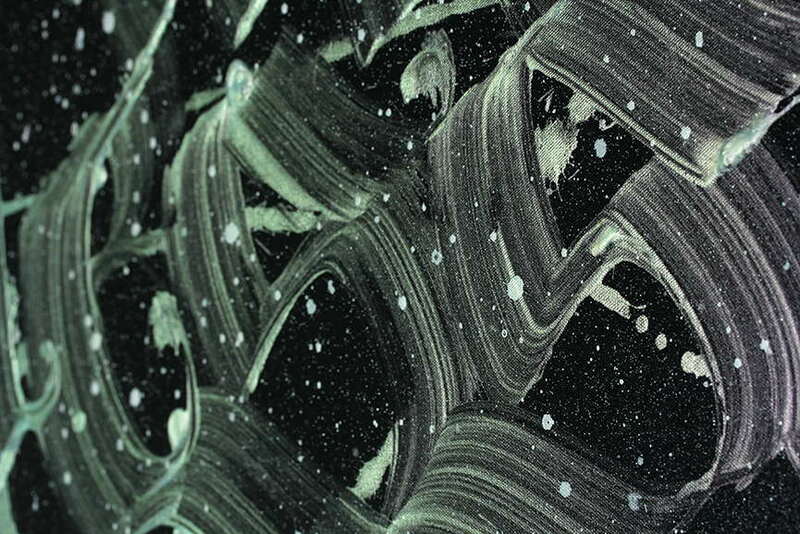 We all know graffiti art emerged from the letter, from its form and its meaning. It took the letter to another plane, toying with it, developing it, working with its limbs and bumps, until a completely new art form came to existence. Not unlike calligraphy. But, calligraphy is older, different, traditional and philosophical. The abstract qualities lie in it, while it unites the visually perceptible and conceptually defined. The art of letter writing is more than a style. It’s about movement, meditation, lasting impact. 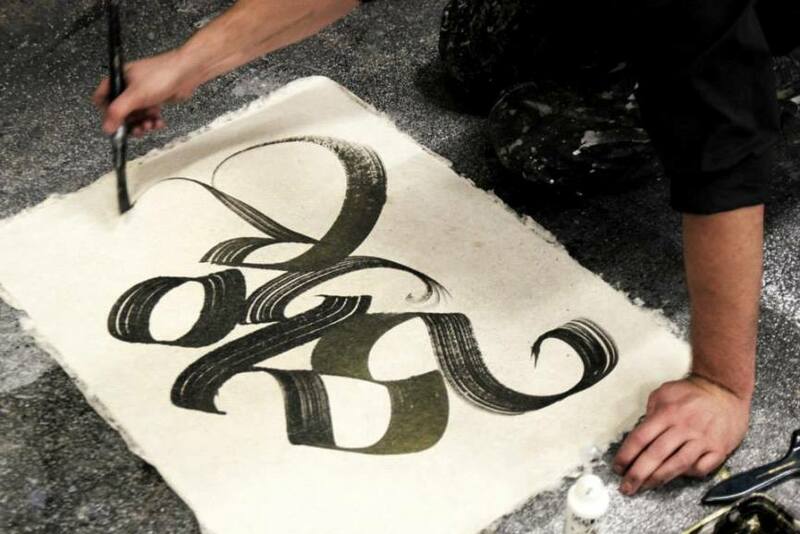 Calligraphy is a power in its own right. Scroll through some of the most brilliant examples who exist and create in the place where graffiti and calligraphy blend. 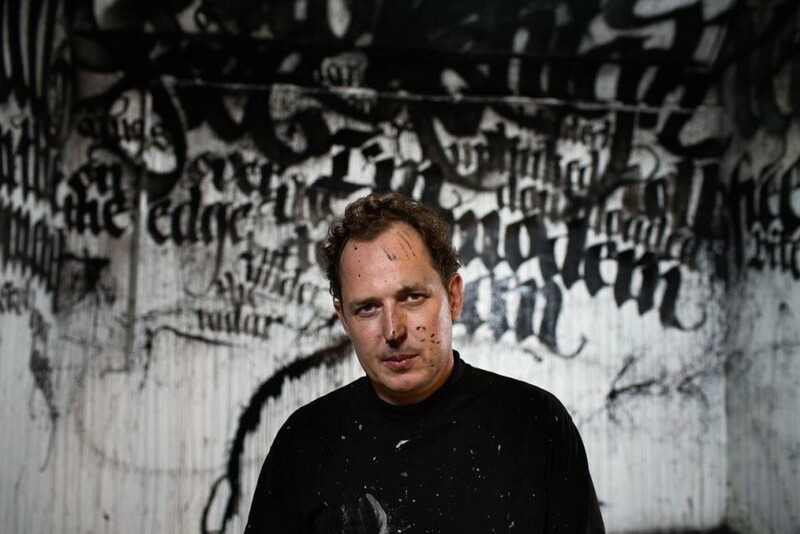 Niels Shoe Muelman, or simply Shoe, is the Dutch visual artist, graffiti writer, graphic designer, art director and a graphic designer. 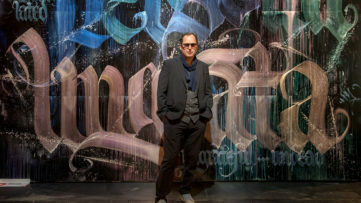 A graffiti legend at the age of 18, he is best known for developing a style called Calligraffiti, which is a fusion of graffiti and calligraphy. 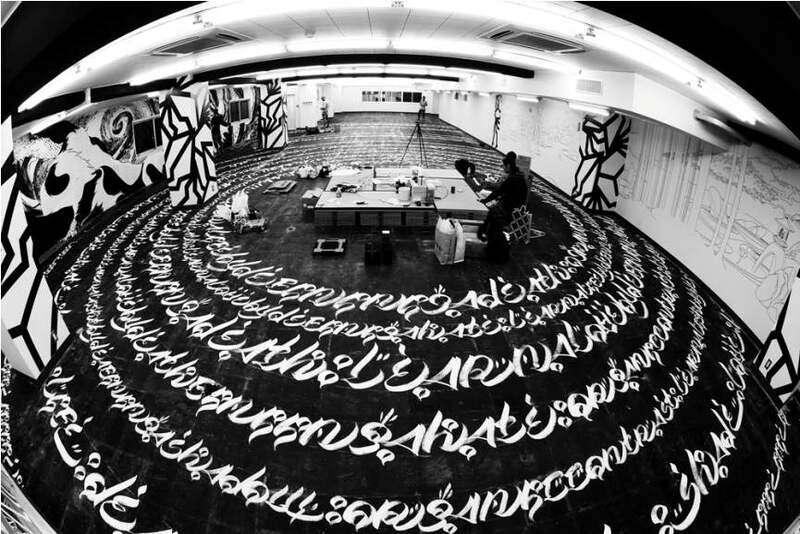 Calligraffiti came to prominence with his successful solo exhibition in Amsterdam in 2007. Currently, Shoe is fascinated with Abstact Expressonism, so his signature style is still rooted in calligraphy, but moving towards abstract painting. Check out his interview for Widewalls. Take a time to check more works by Niels Shoe Meulman! 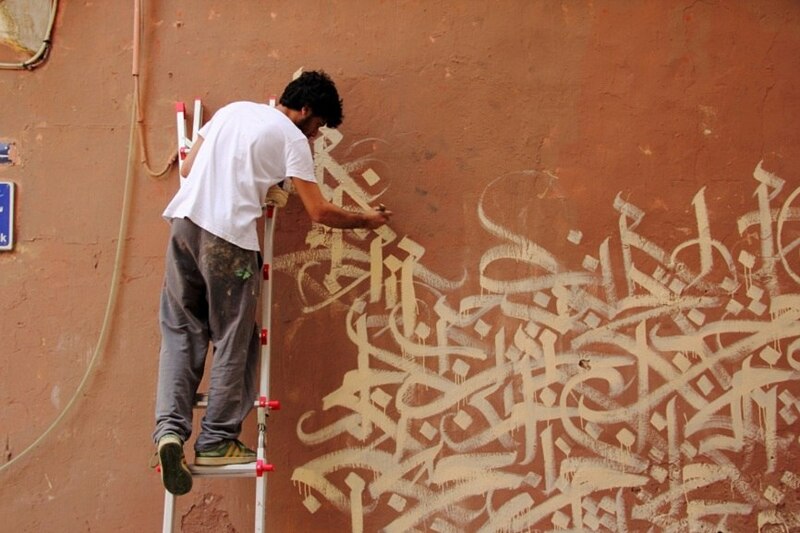 el Seed is a Tunisian street artist born in France. 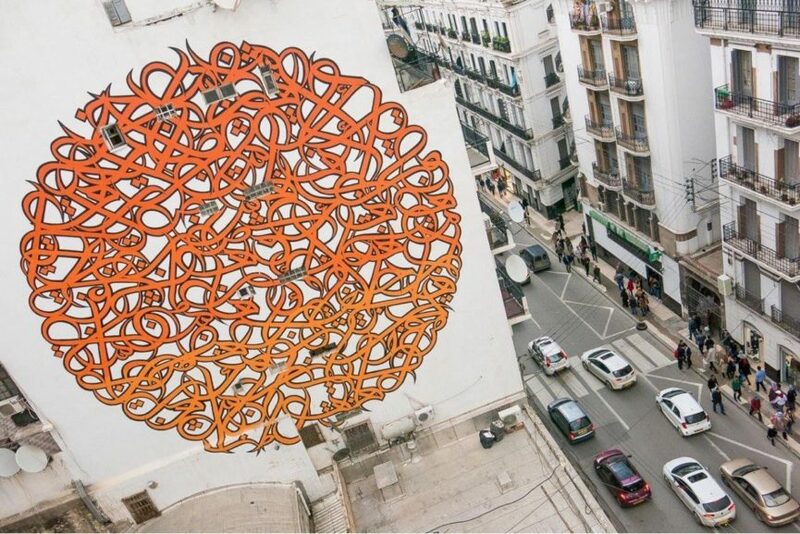 He is renowned for his combination of fine Arabic calligraphy and graffiti techniques, which he uses to create large-scale works. 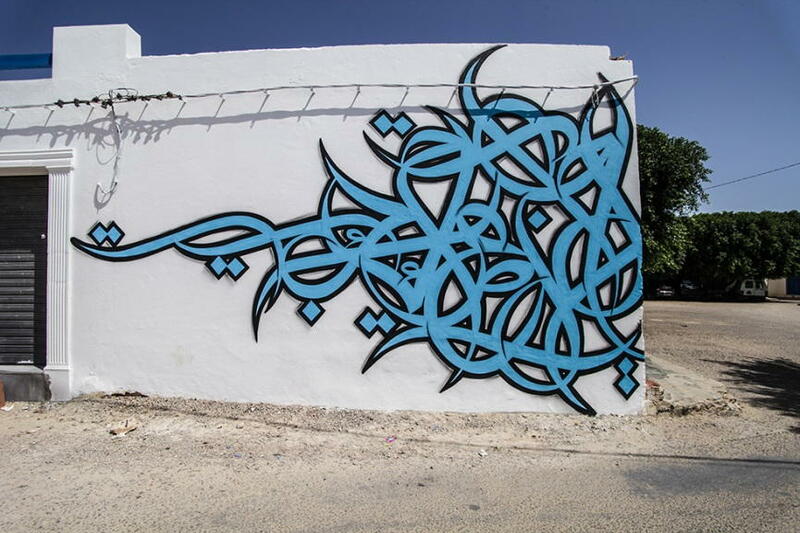 His most famous and controversial mural is located on the Jara Mosque in the Tunisan town of Gabes. 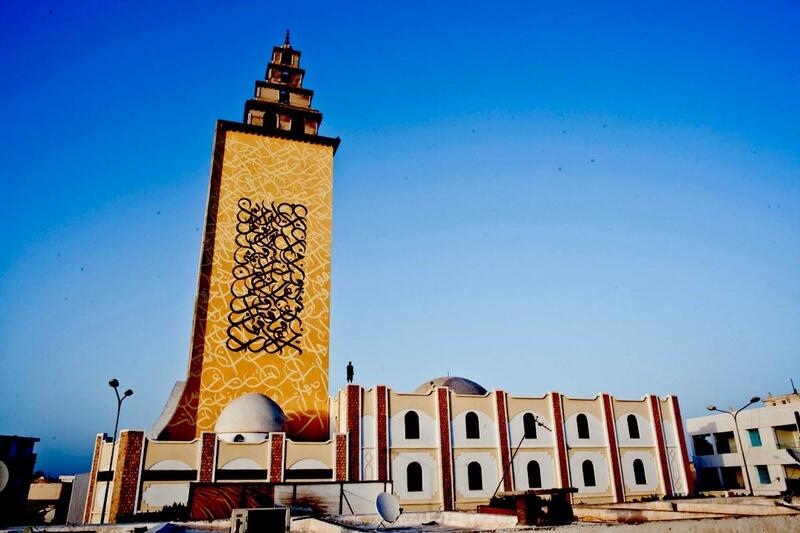 It is 47 meters tall, 10 meters wide, and reads a verse from the Quran encouraging people to celebrate their differences, respect each other and unite. 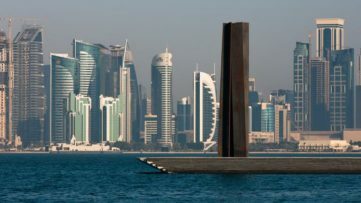 He also adorned a wall on the Institut du Monde Arabe in Paris, motorway underpasses in Qatar, walls in New York, Melbourne, Jeddah and London. Apart from creating poetic murals, el Seed documented the process of painting 24 walls in four weeks across Tunisia in the book titled Lost Walls and collaborated with Louis Vuitton. Yazan Halwani is a young Lebanese street artist from Beirut, and one of the youngest graffiti artists in the Middle East. 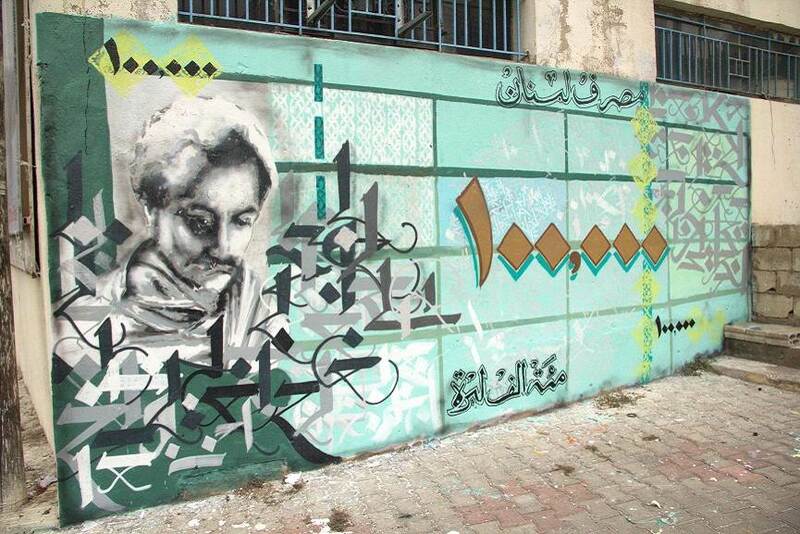 In the beginning of his career, Halwani was influenced by hip hop culture and the Western graffiti scene. 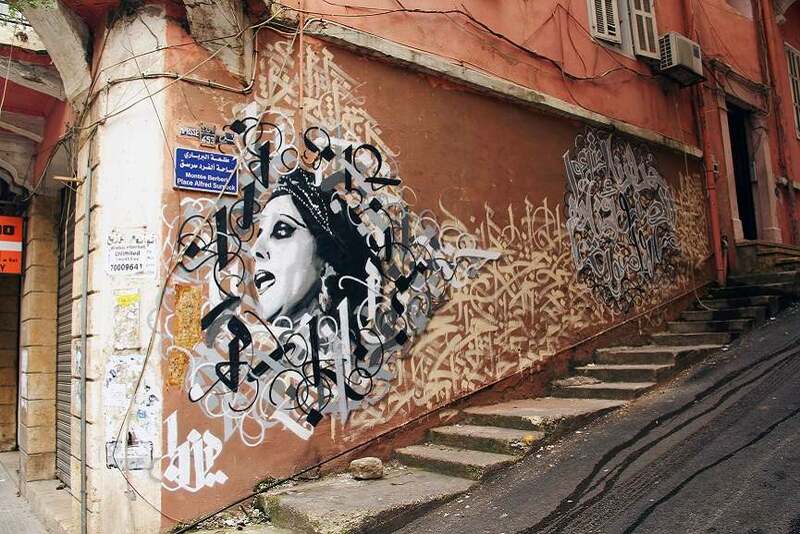 After a few years, he became interested in calligraphy and realized that he needed to change the direction of his work, since he believed that writing his name all over Beirut was not very much different from what political parties were doing. 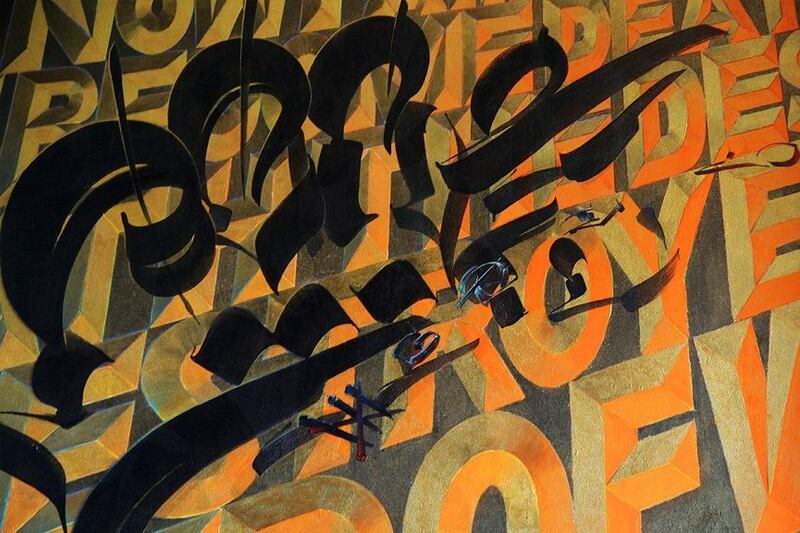 Yazan developed a style that combines calligraphy, oriental geometry, patterning and portraiture. 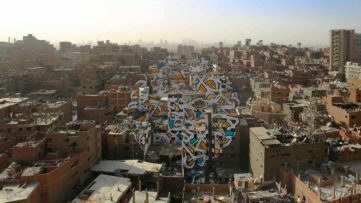 Nowadays, by painting large murals of the faces of famous and anonymous people on the streets of Lebanon, Tunisia, Singapore, Dubai and France he tells the story of the city and communicates with its inhabitants. 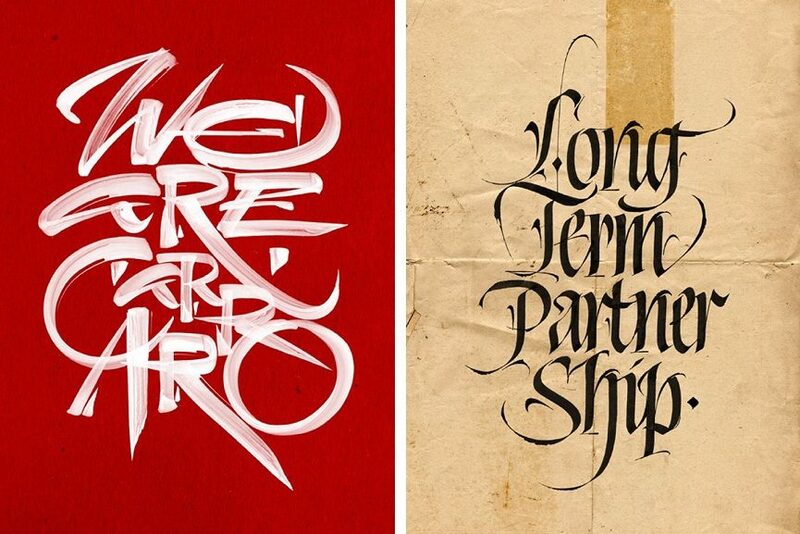 Luca Barcellona is an Italian freelance letter designer and calligrapher from Milano. Luca’s black, white and red lettering is always connected to the message the writing conveys. 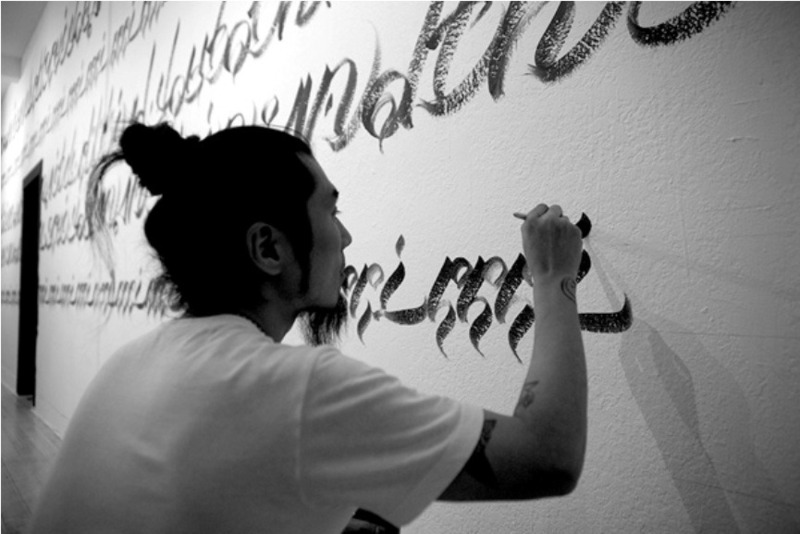 His style is influenced by both Medieval Latin manuscripts and traditional Asian calligraphy. His passion for letters started at a very young age. From graffiti, his interest moved to calligraphy and he started taking classes at Associazione Calligrafica Italiana, where he teaches now. In addition to that, he holds workshops around the world, exhibits his art and works with brands such as Nike, Carhartt, Dolce & Gabbanaa and Volvo. He created his own clothing line Luca Barcellona Gold Series and published a monographic book Take Your Pleasure Seriously. 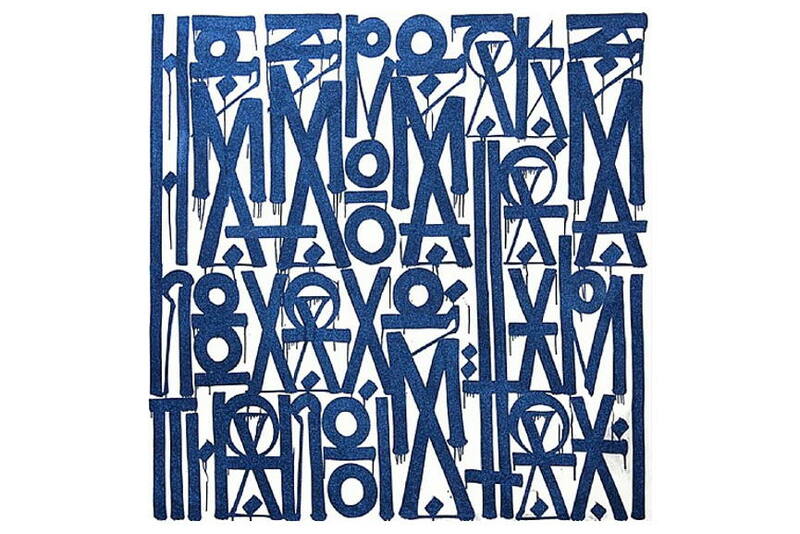 Retna is an established Los Angeles-based street artist , known for his unique, self-created alphabet. 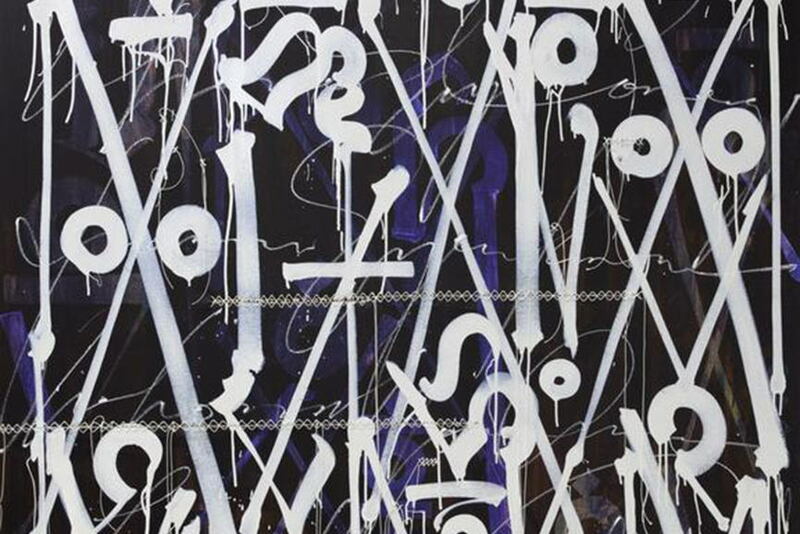 This beautiful and mysterious script is derived from traditional types of street-based graffiti and Egyptian hieroglyphics, Native American traditional symbols and Arabic and Hebrew calligraphy. 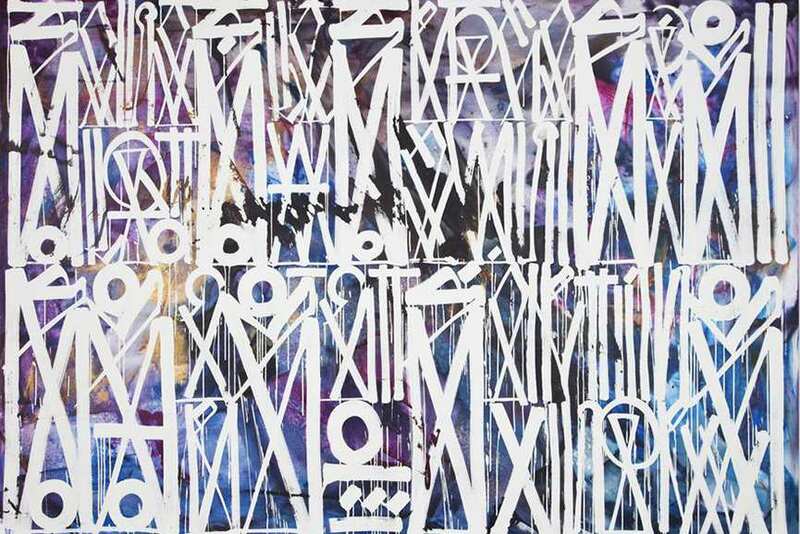 Retna (the name he chose from a Wu-Tang Clan song) participates in art fairs, collaborates with prominent brands and does commissioned work for celebrities such as Usher. This year, he had a solo exhibition titled Articulate & Harmonic Symphonies of the Soul at the recently opened Hoerle-Guggenheim Gallery in New York. Knowing this, it doesn’t come as a surprise that he is not only a bright star of contemporary art, but also one of the Top 5 wealthiest artists on our list. Usugrow‘s style is the style of opposites – he fuses ying and yang, flowers and skulls, black and white. This Japanese artist started his career by drawing and creating fliers for Japanese punk and metal bands in the 1990’s. Influenced by Asian calligraphy and Los Angeles ‘Cholo’ style of graffiti, Usugrow continued working with musicians, and started collaborating with skateboard and fashion brands. Apart from this commercial segment of his work, he had several solo exhibitions, curated group shows, participated in numerous collective exhibitions and published a monograph, which is a compilation of the artist’s best works from 2007 to 2013. Khadiga El-Ghawas is the young, emerging artist from Egypt. When she was 13, her teacher noticed that she was talented for calligraphy and a few years later, Khadiga won first place in a contest sponsored by Bibliotheca Alexandrina’s Calligraphy Center. 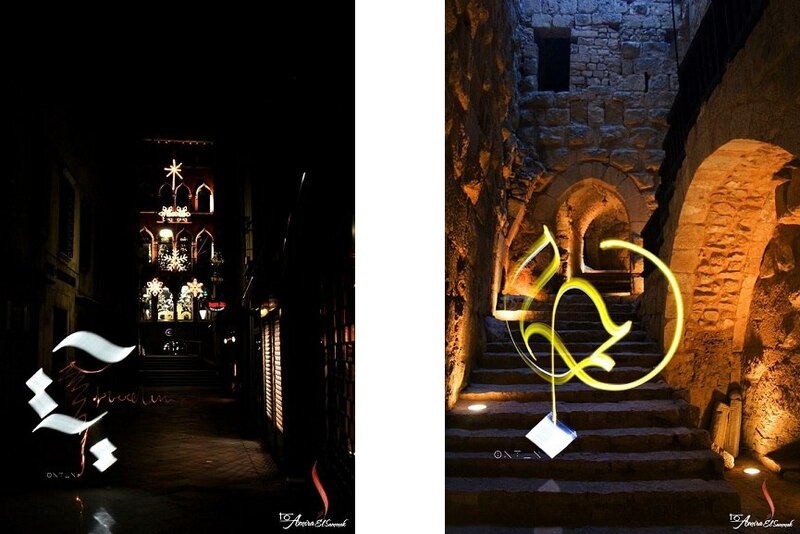 In 2013, she began creating Light calligraphy, in order to help her friend and a professional photographer Amira Elsammak with the graduation project. Light calligraphy captures the motion of the light by using hand held light and photographic techniques. The two continued working together under the name Wamda Team and started holding workshops at The Calligraphy Center of Bibliotheca Alexandrina . 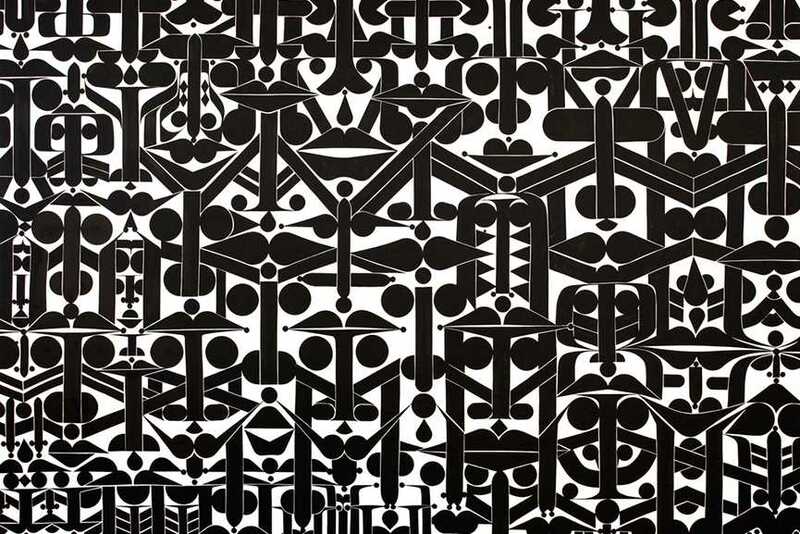 They are inspired by the work of Julian Breton and Egyptian artist Hassan Massoudy. 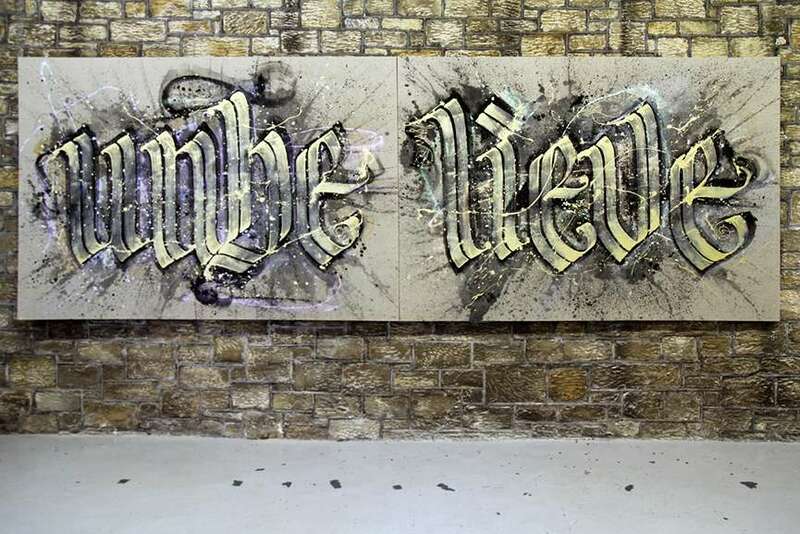 Stohead is a German street artist, best known for combining a graffiti-based style with classical calligraphy to produce letters that are at the same time both figurative and abstract. He became a graffiti writer at the age of 14, later on joined the artist group getting-up, and created some spectacular murals with them. After that, he started his career as a freelance artist and illustrator. 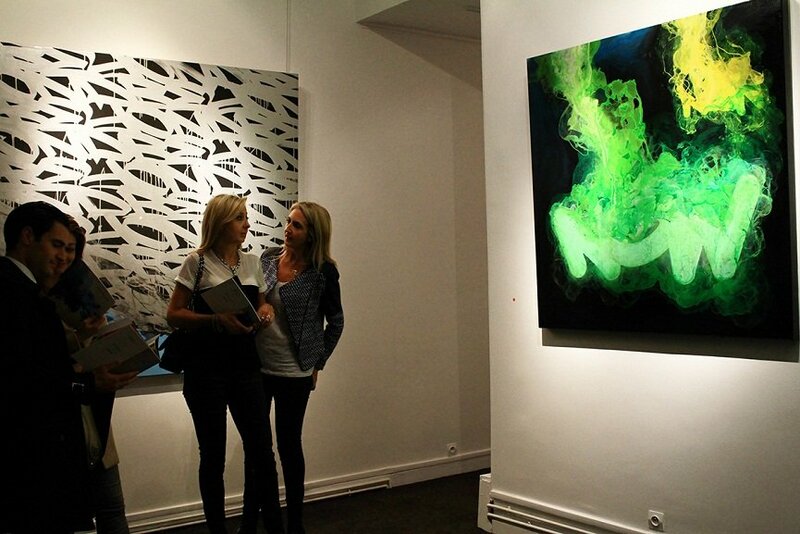 Since then, Stohead has had numerous solo and group exhibitions in many renowned street art galleries, such as Le Feuvre in Paris and Circle Culture in Berlin. Hip hop and punk scene are his source of inspiration. 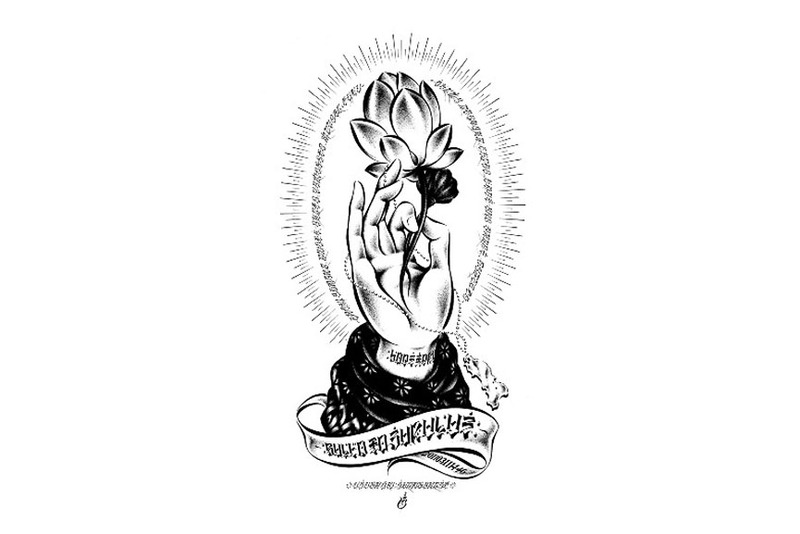 Rostarr is a New York based artist, born in South Korea. He creates paintings, sculptures and digital art. He had solo exhibitions in all art capitals and participated in collective shows around the world. He published his first book titled Graphysics in 2001. 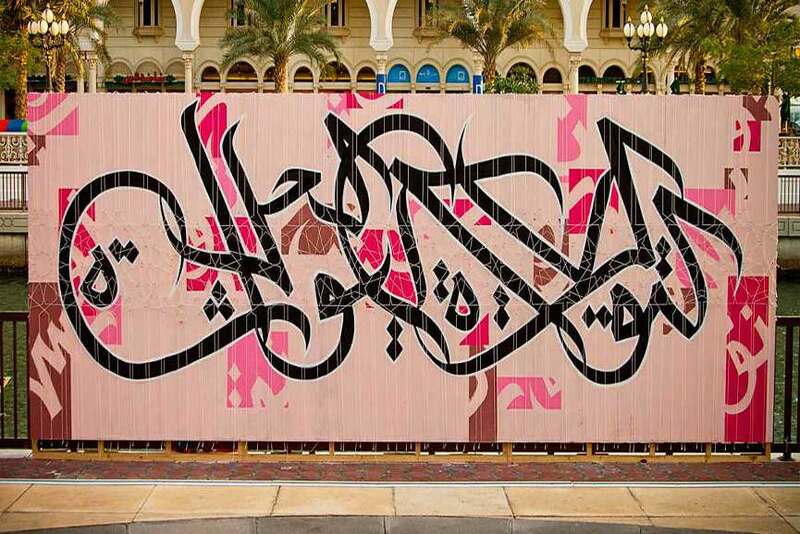 Rostarr’s term Graphysics describes the geometric dynamism which characterizes his work. Always trying to escape the limitations of medium, form and style, the artist’s creations are quite unique pieces of mostly black and white calligraphic drawings and abstract sculptures. He is a long term member of the group Barnstormers. He created several films, either alone, or together with Barnstomers. The best known one is a forty minute motion painting film titled Kill The Ego. Chaz Bojorquez is an American artist who draws the inspiration from Cholo graffiti, Asian calligraphy and the education he received in the CalArts art school. Just like Usugrow, Bojorquez brought the style of Mexican-American gangs to art galleries around the world. View and explore more works by Chaz Bojorquez! Cholo graffiti, usually in the Old English or Gothic typeface, are used by East Los Angeles gangs to mark their territory. Chaz Bojorquez’s interest in Mexican culture is also visible in his symbol – a stylized skull called Senor Suerte, a motif from Mexican folklore and the cult of Holy Death, which he used to stencil on the streets of Los Angeles.